When spring comes, we are anxious to get our gardens planted. We don’t want to wait until warm summer days to start planting. So how to know what is the best time to get started? Vegetable gardens can only be planted during specific times of the year. Seeds and seedlings require minimum soil temperatures to develop and grow. They need optimal soil temperatures to thrive. The best time to seed vegetables depends on the type of plants. Cold-weather plants can be started soon after the last frost, and warm-weather vegetables should not be planted until warmer days of May or June. In cold climates, the soil temperature in gardens hardly reaches 80 degrees at all. And even if it did, it might not be enough as crops wouldn’t have a chance to send up green shoots before frost. Gardeners in hot-climate need to get their crops planted earlier so they will have a chance to mature before the hotness of the summer months. A part of having a homestead-garden is growing your own vegetables. To grow your own food, you need to know when to plant them? If you are growing your own fruit and vegetables, it’s important to know about the different seasons, as many vegetables need to be planted at different times of the year. Vegetables differ not only in size, color, shape, and taste but in their preferred growing conditions, too. Understanding when to plant vegetables depends on your climate and conditions—and the vegetable itself. Relative to climate, vegetables are divided into two groups: cool season and warm season. 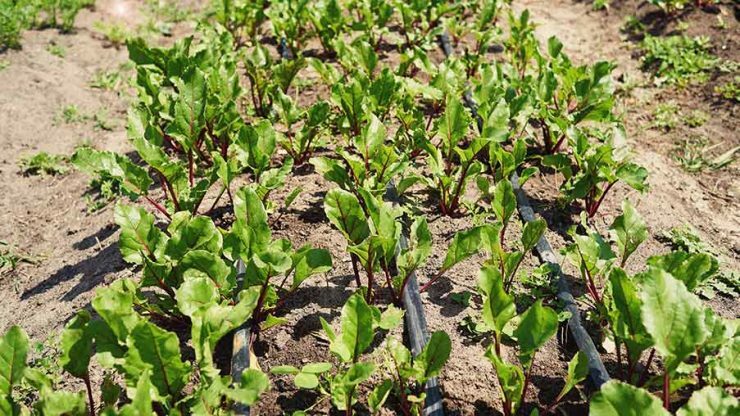 Here are the steps you should take into consideration when planting vegetables. How to find the right time? Solving when to plant vegetables in your area requires some searching. You’ll need to look a few other variables on top of your geographic location, as well. The first hard frost date in the fall. It is impossible to say these dates with full certainty. We have to use some general guidelines from online resources. That should give you a valid view of when it might be safe to plant in your region. But you have to be careful, as you never know when an unexpected late-season snow storm or unseasonably cold temperature hits into your area nowadays, as weathers are changing so rapidly. However, if daytime soil temperature reaches 65 degrees or more, and you wait until after the expected frost-free date for your area, you should be safe. And you can always cover your garden beds with dark plastic sheets for a couple of weeks before planting to warm the soil faster. As you form your yearly planting timeline, keep those two critical “frost-dates” as a guideline around your prime growing season. However, if you want to extend your growing season even further, you can start seeds indoors. You can also protect your plants from cold temperatures with mulch, row covers, cold frames, or mini-hoop houses. Especially the elder neighbors, who have been living in your area for a very long time, might have practical information about the best times. There might be a little micro-climate that differs from the general temperatures of the area, and you might find it quickly by talking to the neighbors! When you buy seeds, pay attention to the days to maturity information on the packages or plant markers. This shows you how many days it will take for the plant to be ready to harvest. Some greens reach the harvest date much faster than others. For example, after they are sown as seeds, lettuce, radishes, and baby carrots can be ready in a month. Some pumpkin varieties can take a full 4-5 months before they are ready to harvest. That gives you an idea of how early you need to get that plant into the ground so that it has enough time to reach maturity before the first hard frost date in the fall. It also gives you an indication of how late in the spring you can plant certain varieties. For example, don’t wait until late summer in colder climates to plant pumpkins seeds that require 5 months to grow. On the other hand, fast-growing lettuce varieties can be planted 1-2 months or so before your expected frost time in the fall. Plant Hardiness Zone Map is the standard by which gardeners and growers can determine which plants are most likely to thrive at a location. The map is based on the average annual minimum winter temperature, divided into 10-degree F zones. USDA Plant Hardiness Zone Map of North America. 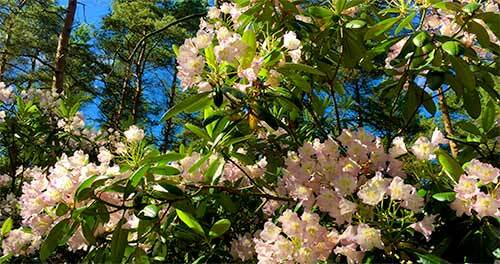 Learning what to plant and when in your area is an integral part of your gardening endeavor. Knowing your prime growing season, when it begins and ends, and how to get the most out of it, will make you a successful gardener. It helps you to choose which plants to grow and how to help those varieties prosper in your beautiful garden. Lately, I’ve developed an immense joy for eating healthy. This being the case, I believe where possible, everyone should plant a seed in their yard to start a vegetable garden. Planting a vegetable garden reduces cash spending in the supermarket. Rather than just go out and buy vegetables, I have chosen to start a garden and plant as much fruits and vegetables as possible. Farming has not been a significant part of my family. But based on research I’ve conducted, and listening to medical experts, people are to eat raw vegetables and take in more fruits. It can go a long way of eliminating obesity, as well as terminal illnesses like cancer, hypertension, diabetes, and stroke. I endorse this objective and intend to learn all I could to have a healthy lifestyle. If you love to cook, a vegetable garden can be one of the most fulfilling things you do. When you have your own plot, you can pick fresh seasonal veggies, herbs, and fruits as you need them. It is fresh, and you don’t need to drive to the grocery store. 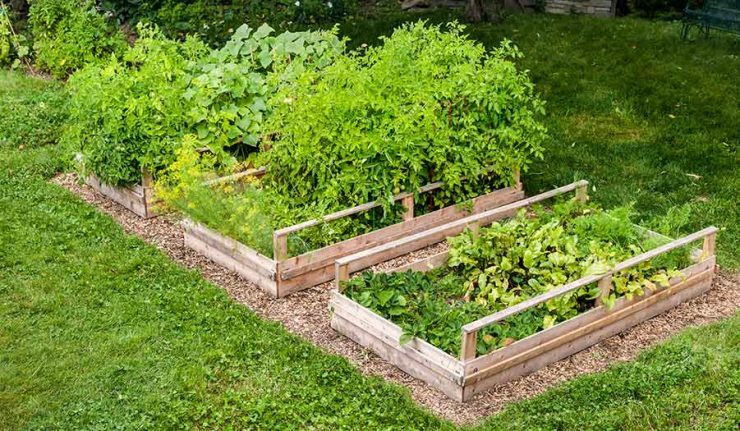 But before anything else: you need to decide between a raised-bed garden or an in-ground one. 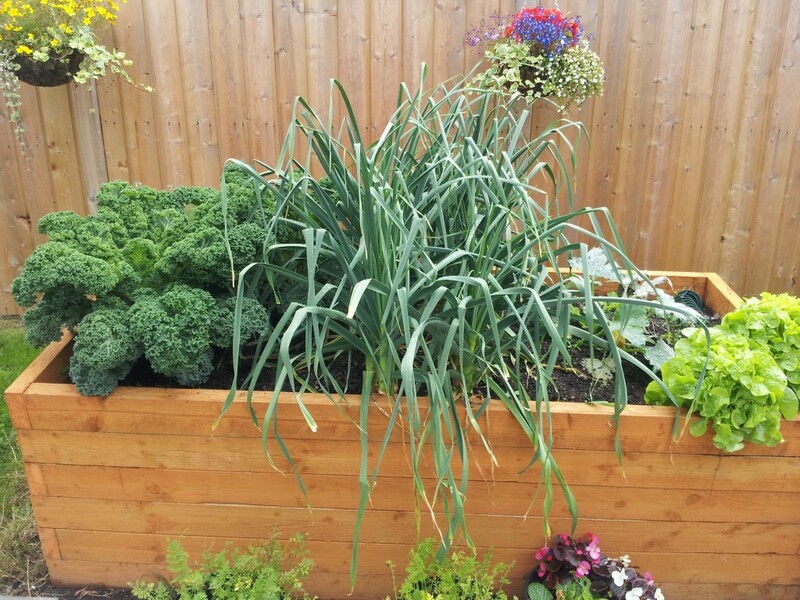 Raised beds consist of purchased topsoil that sits within a wooden frame. They are ideal if your soil is stony or sandy. An in-ground garden needs less watering. For an in-ground, test your soil to find out what nutrients it requires. Garden centers sell do-it-yourself test-kits. Here’s how to start and plant a vegetable garden in four easy steps. You can start for instance by making a list of all the foods and recipes you regularly make. Note especially which herbs and vegetables you use repeatedly. This will tell you what you should plant and in what amount. List also other items your family likes. Growing your own vegetables is a great way to open your culinary boundaries, even if you aren’t using them currently. Get your children involved in this planning phase, so that they become more interested in gardening, too. Ask what they might like to grow? Make recommendations if they are too small to come up with ideas on their own. As you can guess, pumpkins, ornamental gourds and sunflowers (for their beauty and seeds) are popular choices with kids. Lettuce and beans, and other fast-growing plants are also wonderful choices for children as they offer results quickly. Once you’ve have a list of plants you want to grow, search online or stop by your local garden center to find seeds and transplants. Remember to study what grows well in your area. Planting a successful garden depends much about location. Pick a spot that gets enough sun and isn’t obscured by trees or bushes. 1. Sunshine. Pick a spot that gets enough sun and isn’t obscured by trees or bushes. Look for a place that has at least 6 hours of direct sunlight through the day. 2. Water. You will need to water your plants quite a lot, so make sure the location you choose has easy access to water, and you have a convenient source of water close enough. 3. Accessibility. Gardens need a lot of care and work. Position your plot in an area that is convenient to get to. Remember, that you need some tools to work in it. If you have to store your tools too far from the garden, or if it is out of the reach of a wheelbarrow, you may find your motivation hindering. Make your life easier by establishing the garden in the most accessible sunny location you can find. 4. Good Drainage. In an area of compacted soil or heavy clay, this may be a big one, and some extra work is needed. If the area collects standing water, you will need to build your beds up to protect your plants from getting overly wet. Once the location is set, then you will need to decide how to put the individual beds within it. Keep on eye how the sunlight moves throughout the day. Taller plants can cast shadows to others if they aren’t positioned correctly. To create the individual beds, you can do it by first removing layers of sod. Then you continue by tilling and amending the soil beneath it before planting your vegetables and other plants. This traditional method will certainly work, although it needs some hard work. Alternatively, you can build your beds up rather than digging down. 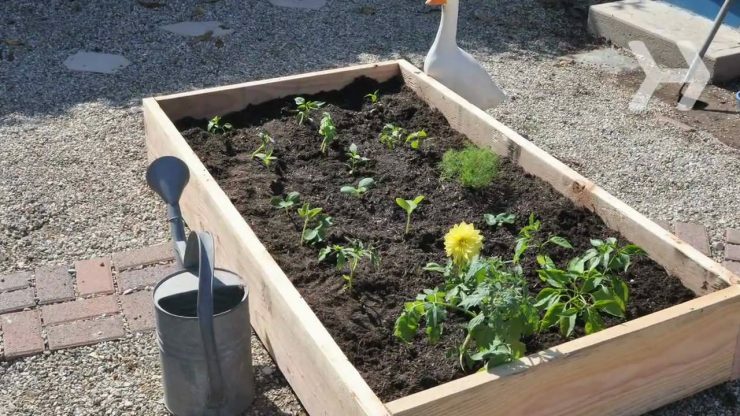 This method works both with raised garden beds or directly on the ground. First, add flattened cardboard or a thick stack of newspapers on top of the ground. Then add other beds of peat, topsoil, aged manure or barn litter, organic mulch, yard clippings, and compost. In colder environments, the short growing season means that some plants are impossible to grow directly from seed. You can prepare this kind of beds months in advance or just before you plant. Either way, the layers will mix together into a beautiful, fertile soil for your vegetables. you can sow seeds straight into the soil. Start seeds indoors. You can more easily provide the perfect conditions, like ideal temperature, moisture, and fertility. Then harden them off outdoors (hardening off means increasing plant’s stamina), before adding them to your garden beds. plant established transplants you’ve bought directly into your prepared beds. It all depends on what plants you choose, and what kind of soil you have. Some seeds require direct sowing. Others need to be started indoors many weeks before the frost-free date in your region. As you create a list of plants you want to grow, make a note of the growing specifications. That way you can give your seeds the best chance of survival. It takes more than good soil and sun to guarantee success in a vegetable garden. Plant certain compatible plants and herbs near your vegetables. Welcome pollinators and friendly bugs that eat pests by planting flowers among your veggies. Flowers attract bees, the most important pollinators, and that helps pollinate your plants. If you follow these easy steps to plant a vegetable garden, you will be rewarded all season long with a plentiful supply of fresh and healthy produce. Plus, you’ll have the added pleasure of knowing you did it with your very own hands. Hi, I’m Theresa, city-raised girl originally from Munich, Germany, who now lives small-town life, loves mountains, and the simple life in Colorado. Follow me as I explore this lovely state. And join me as I learn how to cook and garden, with tweaks for a modern working woman. But things changed when I met my boyfriend. He is farm-raised boy from Kansas, who told how his mom baked bread from scratch every day, and they got fresh food from their own garden. He also urged me to find a hobby. Well, we have a hobby, cycling is a big part of our lives, and we have good opportunities for cycling on roads and mountains in here. But besides that, it is more like watching TV every night. So we believe that hobbies are what keep us happy, we look forward to that at the end of a long, stressful work days. So with cooking, I prefer to follow a recipe precisely as written, but I’ve found that some experimentation is necessary to suit our tastes. My boyfriend is perfectly happy throwing whatever elements to the pan to see what works and what doesn’t. I don’t naturally have those adventuresome senses. But just as I got more confident in the kitchen, I started thinking about other hobbies I could do with my hands. A break from the computer that’s constantly facing me at work is well needed indeed. When we rented our house, I bought some seed packets to start a small flower garden. My success in growing tomatoes wasn’t that good, but it anyways encouraged me to try to grow peppers, and then lettuce. Now we have a mini vegetable garden in the backyard. I invite you to join me in my adventures in homesteading. I’m going to get to basics and learn how to make things from scratch. I’m looking forward to the journey.